The groynes at Balnarring Beach serve to reduce erosion at the water’s edge. 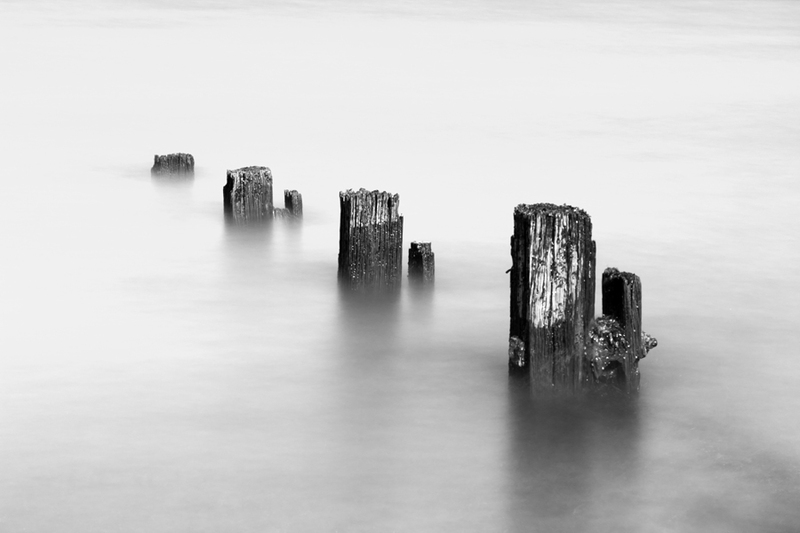 Most of the groynes are simply a line of posts connected together by planks creating a straight sea wall. I was struggling to find something interesting on the beach then stumbled across this baby zig-zagging out into the bay. Below – The usual straight groyne. Below – The making of Zig Zag. 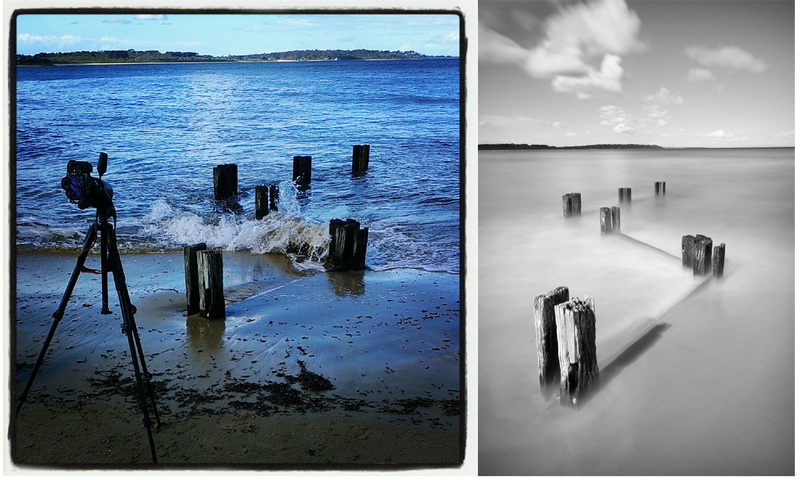 Here are some more images taken at various places around Westernport Bay, Victoria, Australia. 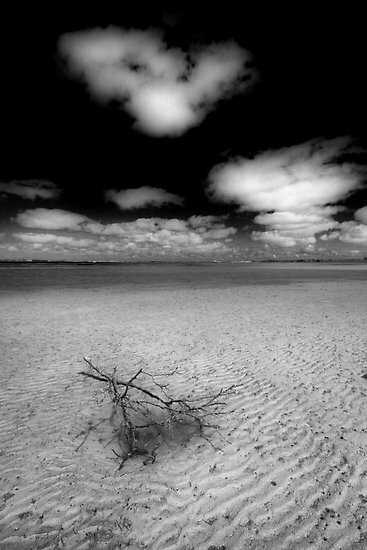 Taking long exposures is certainly interesting as the tripod gradually sinks into the silt. This is just the sort of place where you should take emergency pants in case you unexpectedly sit down in the mud. 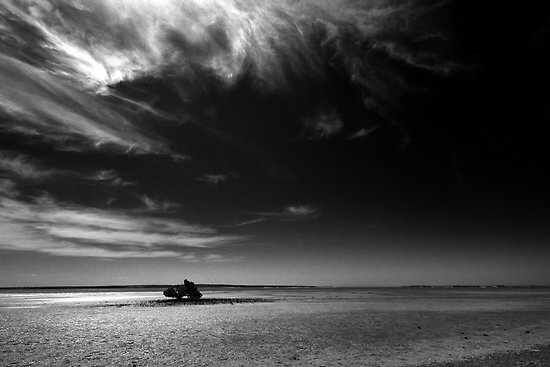 The following image was taken at Crib Point beach. 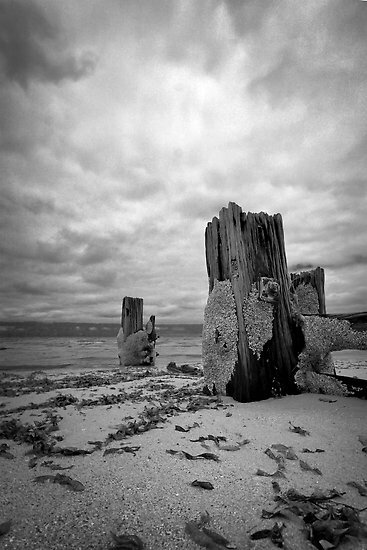 This image Barnacle Build was shot at Balnarring beach. The following image The Threat of Punishment was taken at Grantville beach. All of the ground in this shot is mud.